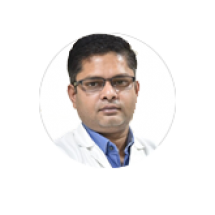 Dr. Singh has immense experience as an Oncologist in treating all types of Cancer patients in leading centers in Gurgaon. As a Professor of Medical Oncology, he has great expertise in performing pediatric and adult procedures like bone marrow, PICC line insertion, Hickman line insertion, and lumbar punctures. He has experience of doing bone marrow even on 1-month-old children. He Worked as the senior resident on regular basis in the department of Hematology, AIIMS, New Delhi from July 2007 to December 2012.